It’s about time I got around to reading this book! I totally loved Sea of Poppies and River of Smoke was even better. The Glass Palace, I’m sad to report, is not quite up to the standards of those later works. I love historical novels but I guess I’m kind of picky. The emphasis has to be on the historical, not a soap opera plot with an exotic setting. There has to be a certain amount of dialogue but after awhile an historical novel totally loses it’s authenticity with too much chatter. Although it’s wonderfully better when the history is accurate, it doesn’t have to be so long as it’s not invented to suit the author’s contemporary agenda (see Philip Roth or Kate Grenville) in which case I give points for invention if it’s done well, fits into the fabric. (I use the tid-bits of history as research starters.) I like detail in the history and I like it woven into the lives of the characters. And finally, it’s always nicer if there are thematic elements or “ideas” involved in the narrative – history alone isn’t theme oriented – but then, neither is life, generally. Ghosh has done an excellent job at all of the above but …. there’s something missing. I think it’s an absence of “rounded” characters to go with the realistic history. 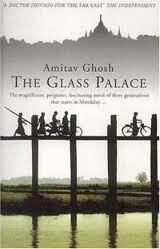 At the start of The Glass Palace, Rajkumar, one of hero, is a small orphaned boy with huge dreams. 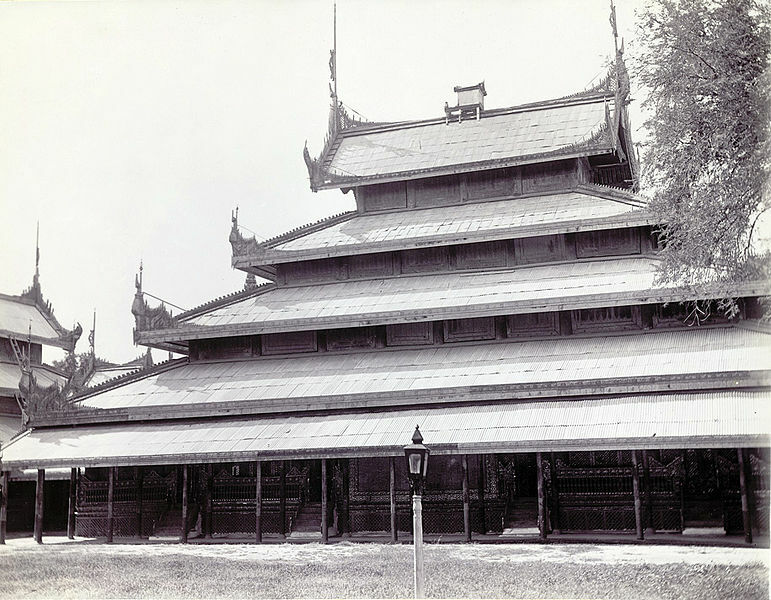 He has just arrived in Mandalay (Burma) from India and finds work in a food stall located very near the glass palace of King Thibaw. When the English oust the royalty (1885) Rajkumar gains entry to the palace and there he meets a woman named Dolly and falls in love with her. 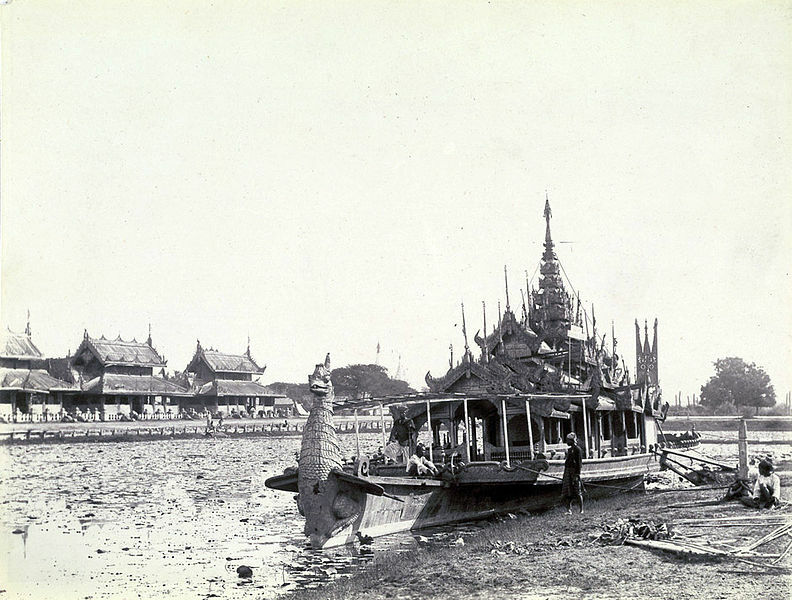 But when the British enter Burma, she and the rest of the royal family are relocated to somewhere in western India. 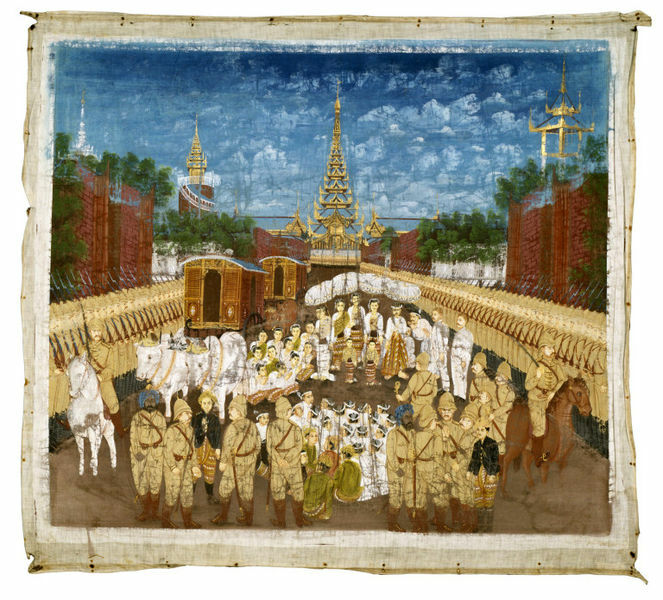 A tapestry of Thibaw and the royal family leaving Mandalay. Rajkumar becomes quite a successful businessman and goes to find Dolly. The book follows him as his family goes through its struggles, as well as India’s in many ways. Another basic thread in the book, and the one which seems most telling to me, is the military struggles of the Indian/ British forces as they fight in World War II. Like the Irish they chafe at fighting for “the king” and the Union Jack. Do they want to be Sahibs or Indians? Can they ever really be accepted into English society? Do they really want to be? But can they escape the last 100 years of intense colonization with all the term implies? Ghosh addresses these questions and more. The stories follow a family living, loving and dying through the histories of India and Burma for the past 100 years or so, a bit more. I think there are 4 generations. The character list from Wikipedia was very helpful!